Bernice Tom Sensei is a direct disciple of Morihiro Saito Shihan and holder of the Menkyo Kaiden in Aiki Ken and Aiki Jo. She was invited to teach Iwama Style Weapons at Sunset Cliffs Aikido in the mid eighties, and in 1990 she became SCA’s Chief Instructor. For the past two and half decades, Tom Sensei has dedicated herself to the dissemination of Aikido and makes every effort to pass the Iwama System to her students as it was passed down by Saito Shihan. Through her efforts, and the efforts of her students, SCA has become one of the few dojos where the Iwama curriculum is practiced in its entirety. Today, Bernice Tom Sensei serves on the board of directors of the Takemusu Aikido Association and continues to teach seven days per week: Iwama Weapons and taijutsu four mornings a week and Advanced Aikido Classes three evenings per week. Ben Teeter is Dai Sempai at Sunset Cliffs Aikido and one of the dojo’s longstanding members. He has had the privilege of studying directly under Morihiro Saito Shihan both in Iwama and during Saito Shihan’s historic visits to San Diego and other U.S. venues in the eighties and nineties. 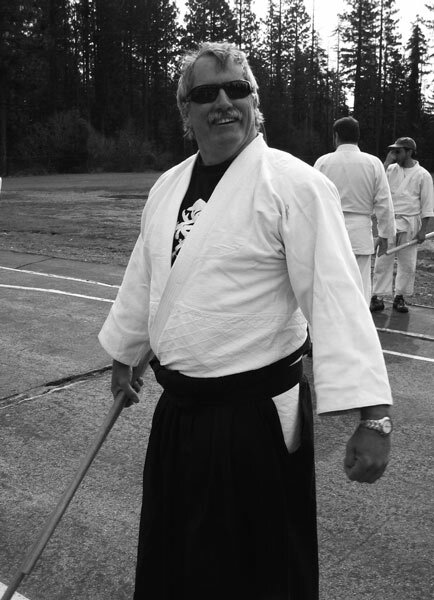 SCA’s Senior Assistant Instructor, he teaches the Aikido Basics Classes, leads a weekly yoga class specifically designed for Aikidoists, and often teaches the Advanced Classes when Sensei travels. Don Vierra has trained at Sunset Cliffs Aikido for nearly three decades, and had the privilege of training under Morihiro Saito Shihan on his annual visits to SCA. He has taught a weekly class at SCA for many years. In his classes, he often emphasizes basic Iwama techniques with an emphasis on their practical applications. Skip Konen joined SCA in the early 90s and has been a supporting member ever since. Known for his wealth of knowledge on Aikido and related martial arts, he often has a useful anecdote or bit of history to share. When his schedule permits, he is regularly on the mat sharing training tips with newer students or covering classes for other instructors.